2014 International Carbon-Value Award Gala & Innovators Summit, with the aim of transmitting low-carbon concept, pursuing harmonious development between economy and environment, and searching best players on green and low-carbon development, is to be held on July 26th in Beijing. 2014 International Carbon-Value Award Gala & Innovators Summit is to be held on July 26th in Beijing. The issues of worsening environment, climate change and energy security have imposed tangible threats on global sustainable development between economy and society. AP posted a UN report on January 16 this year and showed that the cost of addressing climate change would likely account for four percent of global GDP by 2030. Therefore, a major task and challenge international communities have to face is how to reduce GHG emission while maintaining their rapid economic growth. Green and low-carbon development has become an important policy guide in the process of our economic and social development. In recent years, along with a package of guides, supportive policies and measures by the State Council in terms of accelerating and developing energy conservation and environmental protection industries, strategy and action plan of recycling economy, various domestic enterprises as an important part of national economy are moving towards the green and low-carbon development, and directly influencing the social and economic growth. According to the organizer -- The International Energy Conservation Environmental Protection Assocation (IEEPA), the summit will pay tribute to innovators who are dedicated to boosting the state and society towards green and low-carbon development. Upholding the notion that idea triggers green and low-carbon innovation, innovation drives green development; pursuing the goal of demonstrating practical harvest, sharing experience and wisdom, the summit will lead the various innovators to become the pilots of green and low-carbon development. IEEPA secretary-general Jon Li said, "capacity-building in the green and low-carbon fashion is a part of soft power. Future global economic competition is greatly embodied by that takes green and low-carbon technology and products as a kernel. Any one who has the courage to be an innovator will definitely take the lead in the economic growth. The best way to develop green and low-carbon economy is to combine innovation and market demand, domestic and foreign resources with policy guidance and support orientation. The setup of international carbon-value award aims to set a banner of green and low-carbon development for different industries, encourage small and medium-sized enterprises to become the best players. The award is also an effective social tool to keep an eye on enterprises' exploration of green and low-carbon practice." International Carbon-Value Award (also known as ICA Award), is under the guidance of UN system and international organizations, as well as the participation of domestic and overseas media. It aims to award the best players and practitioners in their pursuit of harmonious and sustainable development between economy and environment. The 4th ICA Award 2014 will add a special award -- the Carbon-Value Innovator Award for the first time, which is designed to honor innovator who have innovative enterprise, and have made great contributions to environmental protection and ecological civilization construction. 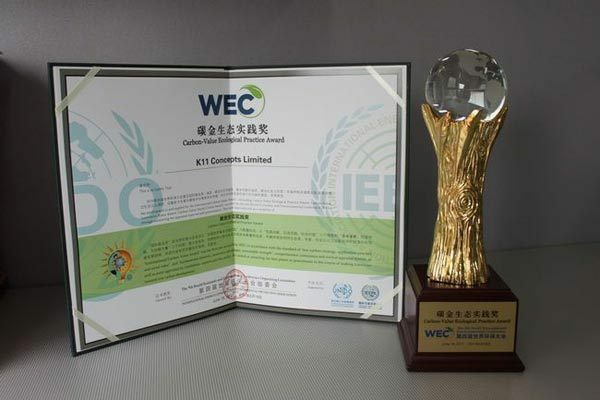 The selection activities include the following awards: overall award: International Carbon-Value Award; subcategory awards: Carbon-Value Ecological Practice Award, Carbon-Value Innovative Value Award, Carbon-Value Social Citizen Award; special award: Carbon-Value Innovator Award; individual awards: China Green-Benefit Enterprise: Best Mode Award, Green Responsibility Award and Growth Potential Award.